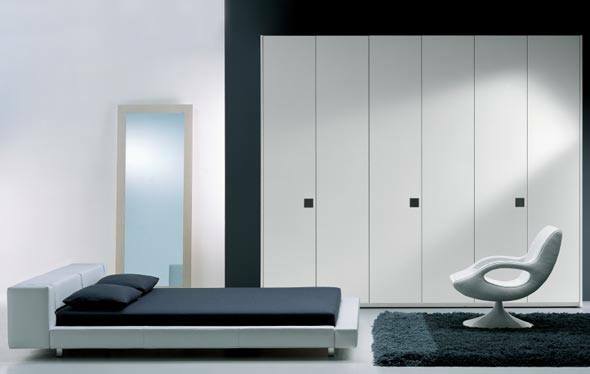 Fitted wardrobes are perfect for optimising the functionality and aesthetic appeal of your bedroom, creating a space that is clean, tidy and uncluttered. Designed to maximise ceiling to floor space, this effective storage solution is perfect for providing a bespoke and stylish space for all your belongings. From your clothes, hats, and shoes, through to your handbags, accessories, and bed linen, fitted wardrobes are renowned for their creativity, flexibility and ability to introduce personalised storage into your home. Available in a wide range of contemporary and modern designs, fitted wardrobes can be tailor made to meet your exact requirements. This is one of the reasons that they are so appealing. Rooms come in all shapes and sizes, and one of the main advantages of fitted wardrobes is that they can be installed in awkward or unusual areas of your bedroom, meaning they will be able to optimise all available storage space in your home. They really are an intelligent use of space. For many people, their bedroom is an environment where they retreat to in order to relax, unwind and escape the chaos that often comes hand in hand with family life. With this in mind, it’s important that it is a space that you actually want to spend time in. And a cluttered and messy bedroom is never going to win you any points in the style stakes, right? The good news is that fitted wardrobes will allow you to organise your space without compromising on the aesthetic appeal of your bedroom’s décor! This is because fitted wardrobes are available in a wide range of finishes and designs, which can be designed to complement and enhance your existing décor. Fitted wardrobes are able to accommodate a whole host of storage solutions based on your requirements. From shelving designed to showcase your handbag collection through to racks that provide a secure home for your favourite heels, the majority of fitted wardrobes can be designed so that all of your storage needs are met and exceeded. From additional shelves, cupboards, hanging compartments and drawers through to out of reach shelving, shoe racks and extra rail space, there’s no denying that fitted wardrobes will make your life a whole lot easier when it comes to organising your belongings! Did you know that fitted wardrobes are also a tangible investment? This is because they are renowned for adding significant value to your home, especially when it comes to attracting potential buyers and tenants. Here at Kenneth Installations in Glasgow, we’re experts when it comes to integrating stylish, practical and functional storage solutions into your home. Our friendly and helpful team are always on hand to answer any questions, so please do not hesitate to get in touch if you have any questions.